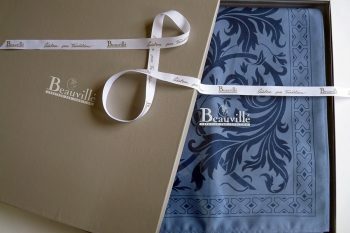 Synonym of luxury, of quality and of tradition, the name Beauvillé is the ultimate for tablecloths and household linens, printed for over two centuries in Ribeauvillé in France. 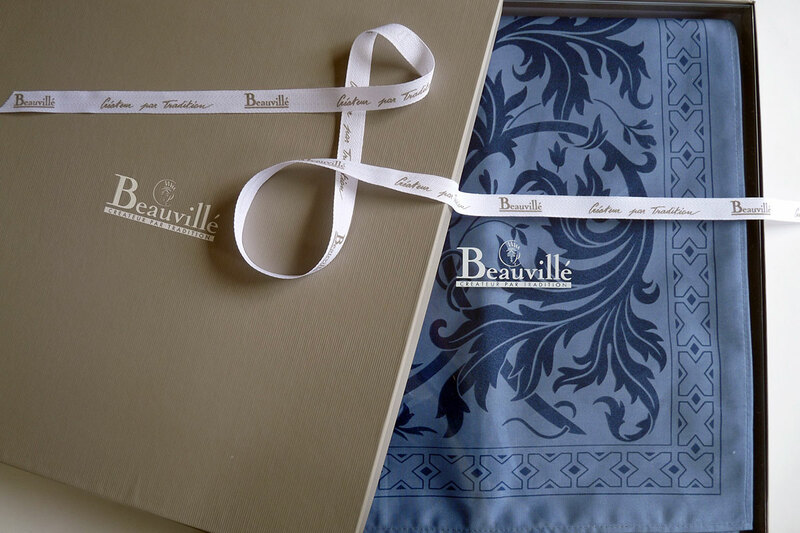 Far beyond its frontiers, in Europe, in the United States, in Japan, in Russia … in the grandest embassies and the finest restaurants, among those who appreciate beautiful materials, you will find finest cloth of the highest quality from Beauvillé. 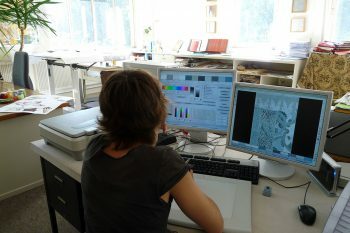 The studio department uses the very latest computer technology to develop the colourings for the patterns. 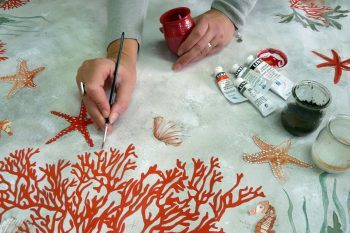 Gouache paint and brushes are used by the stylists and colourists to create two new collections a year. 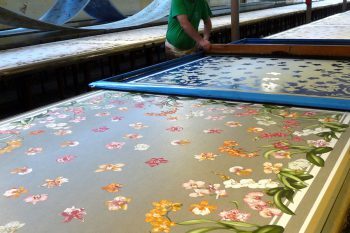 The sophisticated and colourful designs are printed by hand or by machine. When offering a luxury product, beautiful and elegant packaging is essential.